Engineering Academy from Farrington High School G-RATED on Vimeo. 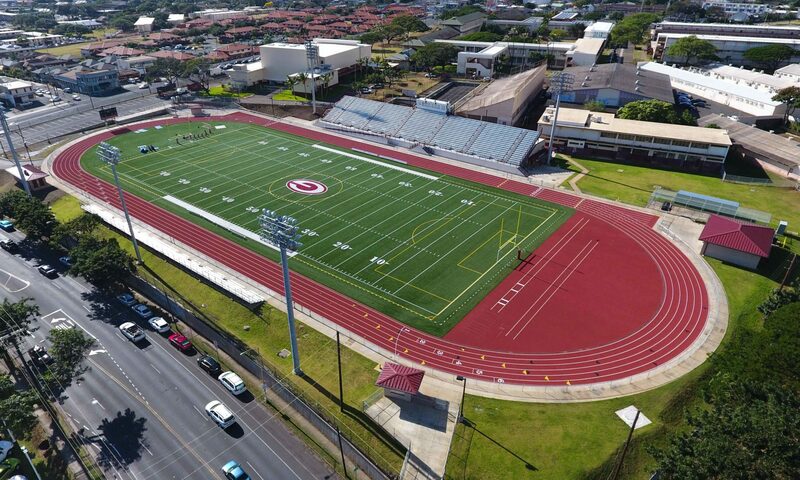 The Farrington Engineering Academy is a two-year program aimed at preparing students for post-secondary studies in a career in the engineering or the building and construction fields. The program is designed to expose students to careers using various types of technology in fields ranging from labor to architecture and many different fields of engineering. Students will have an opportunity to participate in Project East. The EAST Initiative is a non-profit organization that focuses on student-driven service projects through the use of the latest in technology. The East program will help students to launch and complete their senior projects in conjunction with their English, physics, metals, and building and construction courses. Engineering Academy students will use state-of-the-art workstations, servers, software and accessories, including GPS/GIS mapping tools, architectural and CAD design software and 3D animation suites. Through the use of these tools, they will find problems in their local communities, and solve them. A major goal of the program is to cultivate students who want to contribute to their community and care about learning. Each student will leave the Engineering Academy equipped with skills and knowledge to be successful in their post-secondary pursuits and fulfill requirements of the Engineering academy and D.O.E. graduation requirements.